A group of S3 boys have enjoyed a week at Firereach, run by Scottish Fire and Rescue. They really enjoyed the experience and learned a great deal about the importance of teamwork and perseverance. The Achieve 4 group has been working in local Primaries and Nursery classes, providing games, activities and sports for the children during intervals and lunchtimes. Prior to putting their learning into practice, the group participated in a training programme, organised by our Active Schools coordinator. The younger children seem to have enjoyed working with our pupils – well done! Our Information Evening for P6 and P7 parents will take place on Monday 9th November, at 7.00 p.m., in Kilsyth Academy. During the evening, there will be an opportunity to hear about various aspects of the transition process from Primary to Secondary school and our school captains look forward to sharing information about the wider life of the school. Thereafter, there will be an opportunity to tour the school and some staff and pupils will be available within departments, to showcase facilities and answer questions. Letters have been distributed via our associated Primary schools but the event is also open to any other families who are interested in attending. The Parent Council meeting scheduled for Wednesday 4th November has been cancelled and the next meeting will therefore be on Thursday 3rd December, at 7.00 p.m.
Charlie Scott, from the S6 Leadership class, led a team of his peers last week, to raise money for the international refugee crisis. This included daily collections of spare change plus a non-uniform day on Friday. The pupils raised £710, which was a great total. Well done! Pupils from S1, S2 and S3 took part in workshops on online safety, presented by a representative of Police Scotland. The pupils were very engaged in the presentations and asked a range of relevant questions. 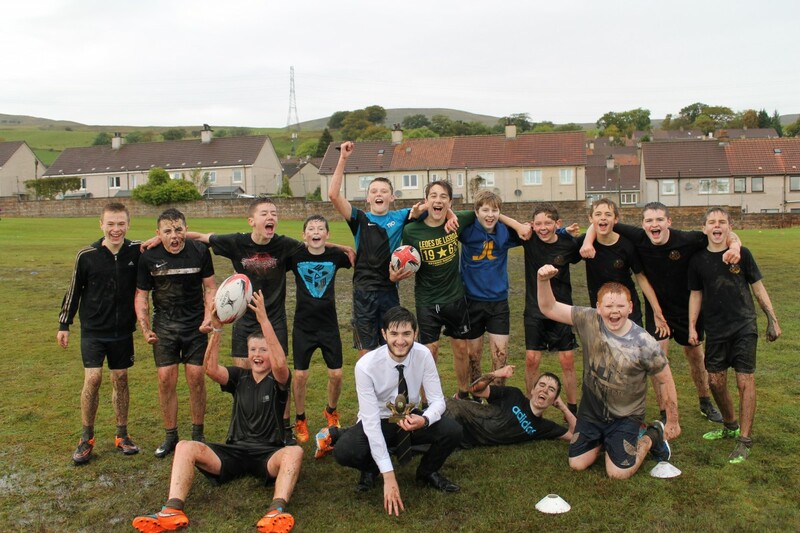 Last week saw the inter-House Rugby tournament for S2/3 boys. Despite the poor weather, the young people gave it their all and Antonine House were the victors. Colzium came second, Dumbreck third and Balmalloch fourth. 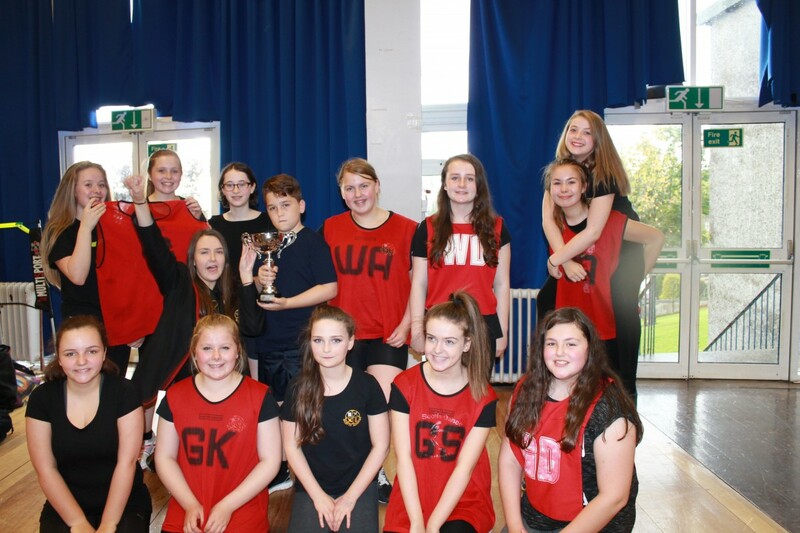 Simultaneously, the S1/2 girls’ inter-House Netball competition took place. There was an excellent response from each House and the teams played very well, with Colzium House coming out as winners. In this event, Antonine came second, with Balmalloch third and Dumbreck fourth. Well done to all. S5/6 Tracking Reports were issued last week and acknowledgement sheets should be returned by 20th October. A group of S3 girls have enjoyed a week at Firereach, run by Scottish Fire and Rescue. They really enjoyed the experience and learned a great deal about the importance of teamwork and perseverance. The S4 Parents’ Meeting will take place on Thursday 22nd October, from 4.15 until 6.45 p.m. and pupils should currently be making appointments with their teachers.